Callahan & Galloway opened its doors on June 1, 1995. Joe Callahan & Nancy Galloway started the company with the idea to provide the smaller investment property owner a management company willing to handle a single property or small group of rental units. 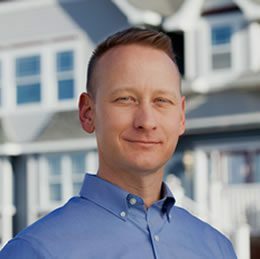 Auben Galloway joined the team of partners in Spring 1999. After 22 years of dedicated service, Joe retired in December 2016. Although Joe’s wisdom and wit is irreplaceable, Auben, Nancy, and office manager, Laurie Oberweather, have worked diligently throughout 2017 to redefine and restructure Callahan & Galloway to be more efficient and more organized than ever before. Callahan & Galloway staffs friendly and knowledgeable office personnel. Our staff treats tenants, owners, and applicants with courtesy and respect, while standing firm with office policies. 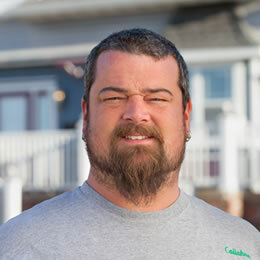 Callahan & Galloway employs its own maintenance staff willing to tackle the day-to-day needs of tenants or property owners, as well as provides a 24-hour answering service to handle any emergency issues. 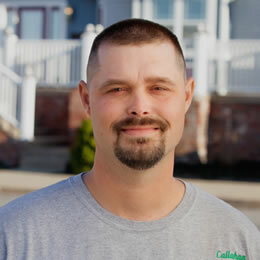 Our maintenance supervisor, Jeremy, has been with Callahan & Galloway since 2010. Callahan & Galloway is conveniently located in The District at 415 Locust Street, Suite A, Columbia, MO. We purchased the location of our business in Fall 1997, and through extensive renovations, were able to open our new (and improved) doors in late 1998. Callahan & Galloway is open Monday through Friday from 8 AM to 5 PM. Favorite local spot: Booches (2 EGROs, please). The 13 year home of our Christmas office party and 8 Ball Pool Tournament. Auben was born and raised in Columbia. After graduating from MU he moved to Seattle following outdoor adventures and later further south to Sonoma wine country. After 5 years of Missouri plane tickets and missing the four seasons of the midwest, he came back to his hometown roots. It wasn’t long before he discovered the growing niche in town that Joe and Nancy had started with only fourteen properties. We like to joke that if it’s a nice day and Auben can’t be found in the office, he’s probably taking a break from the computer. Those showings take extra time if it’s sunny and 75 degrees outside, ya know? All joking aside, if he’s not in the office he is most likely enjoying time with his wife and two boys, volunteering at the PET project, consumed in the True/False Film Fest, or getting caught up talking to dang near everyone in Columbia. We swear he’s friends with almost everyone. Favorite local spot: So many great ones, but what's not to love about a dinner at Chris McD's? 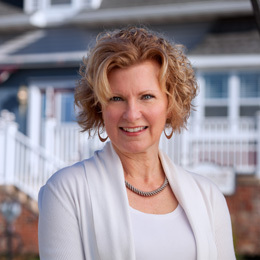 Nancy developed her love for real estate when she married a man with an interest in the industry . Growing up the only girl in the household and going to Cardinals’ baseball games with her dad, she had a truly easy transition into becoming a ‘boy mom’ – you know one of those moms who never seems to be rattled by noise, chaos or fixing enough food for a small army. As if being a mom (& Nana) of all boys wasn’t enough of an adventure, she went skydiving for her 50th birthday, and actually plans to do it again with her youngest son before he heads off to college next year. With her wild spirit aside, Nancy is the perfect substitute mom to those in need. She’ll listen to your story or dilemma, and try to offer a sensible solution. Nancy also understands things from a parent’s perspective here at the office, so don’t hesitate to contact her. She loves to cook and likes to share her yummy recipes with the rest of the office. So, if you’re ever homesick, need some good ‘mom advice’ or help creating the perfect chocolate chip cookie (for real her’s are the BEST), Nancy is happy to accommodate. 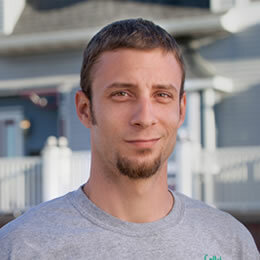 She also doubles as a great maintenance repairman – just ask her husband, Ben, who is currently taking lessons. 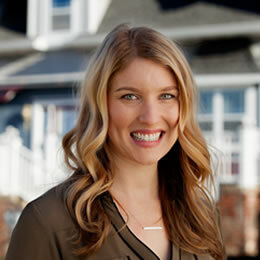 Laurie has been in Columbia since 2007 and with Callahan & Galloway since 2009. She’s a Columbia College alumna, a devoted Mizzou follower, and as a KCMO native, a diehard Chiefs & Royals fan. Dubbed ‘The Enforcer’, she’s the one who texts when your rent is delinquent or calls if your newly discovered talent for playing the tuba is disturbing your neighbors. However, after almost 10 years with C & G and her new journey in motherhood, life has made her a little softer. She’s still definitely not the one you want to try the ‘my dog ate my rent check excuse’ on for the 4th time, but she’s always willing to listen and eager to find a resolution to any problem or conflict. To balance her desk job, Laurie likes to stay active & healthy. Whether it’s spending time outside with her husband and daughter, teaching a Barre Class at Wilson’s, or attempting the Whole 30 for the umpteenth time, she’s our go-to for all things related to health & wellness. She’s as sweet as her name as long as you spell it right (that’s with an ‘i’, not a ‘y’). Our office would be lost without her! She keeps us all in line and makes sure Auben doesn’t forget his appointments. She’s our right-hand gal. The Gatekeeper is an appropriate moniker for her, as she is our front-line. She’s the first one you talk to when you call and the first one you see when you visit our office. 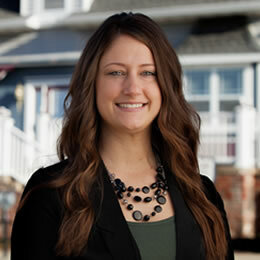 Being nice to Melodi will get you far in the C & G office, as she ensures that all your applications, maintenance requests, and issues get to the right person. And if you’re not nice to her, you will have to answer to Laurie. In her free time, she enjoys Saturday night fires with her family, going to concerts, and scrapbooking.